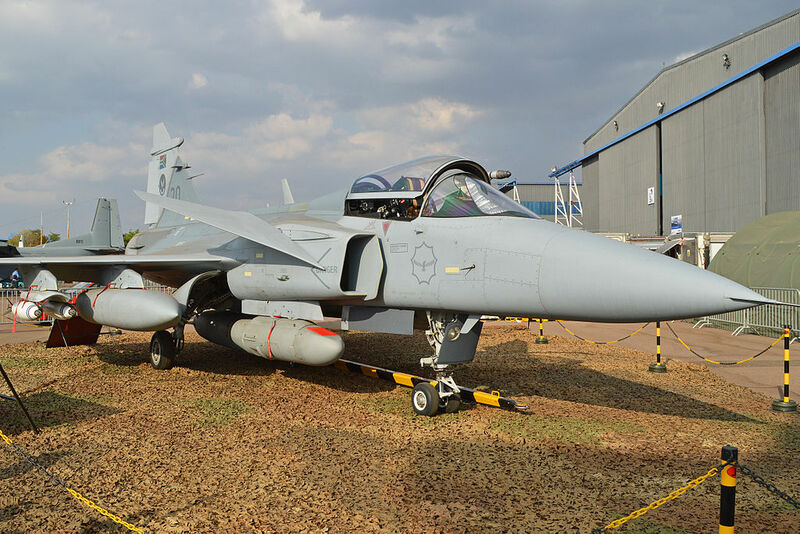 South African Air Force (SAAF) has 19 single-seat JAS-39C Gripen fighters and nine two-seat D-model examples, most of which are operated by 2 Squadron (2 Sqn) at Waterkloof air base. Noteworthy at least 12 of the aircraft were put into long-term storage in 2013 because of severe budget cuts. “Reduced funding means less flying, which means your currency level goes down,” Lt Col Josias Mashaba, commanding officer of SAAF 2 Squadron, pointed out at the annual meeting of the Swedish Air Force Fan Club in Paris on Jun. 18, 2017. As reported by FlightGlobal the issue was managed to some extent by flying the remaining aircraft harder. Moreover Mashaba revealed that Gripen operating costs are between South African rand (R) 80,000 and R100,000 ($6,300-$7,800) per flying hour. Furthermore he explained that his unit’s Gripens are tasked with searching for rhinoceros poachers near the Zimbabwe border. The jet uses its Rafael Litening III targeting pod to scan the area at night and direct wildlife rangers to the poachers’ camps. “They are smart, those guys, they are not stupid, but we find them,” said Mashaba. There are cheaper aircraft to use than Gripens for such an application, he adds, but anti-poaching surveillance is usually combined with other tasks. “And if we do nothing, the rhinos will all be gone,” he conluded.